Moves regional aircraft up to large-cabin business jets. Dual AC motors and regenerative braking give the eJP-12 the best turning radius in the industry and smoothest deceleration. Find everything that your airfield needs for aircraft towing. 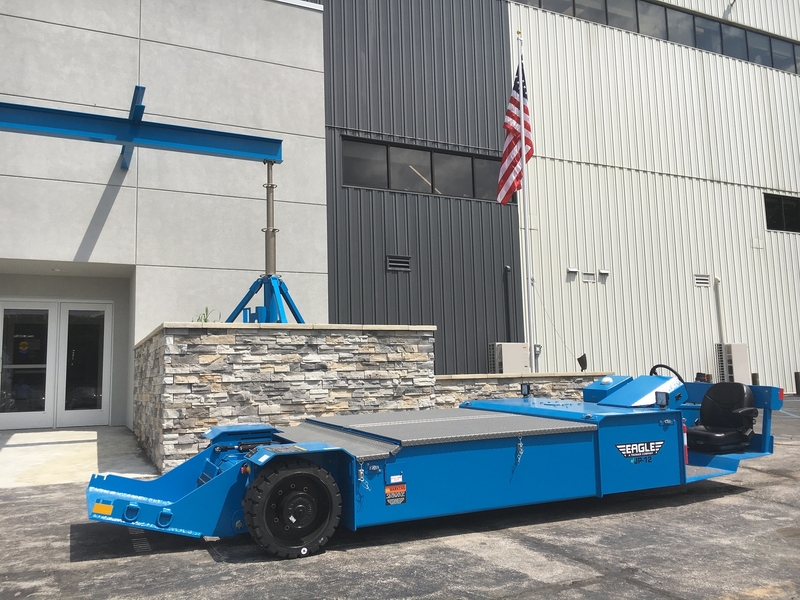 Get a quote on the eJP-12 towbarless tug and other airplane tugs today at Eagle Tugs! The eJP-12 continues the co-development efforts between Eagle and Tronair. Powered by dual AC electric drive motors, the eJP-12 features Zero Degree Technology for industry leading turning capabilities. Operators will be able to position aircraft more precisely as the motors independently turn to reduce the space required to maneuver. The eJP-12 is designed to safely and efficiently move regional and large cabin business jets in all weather conditions. Advanced control systems combine with integrated sensors providing oversteer protection and an aircraft selection system to limit torque. The vehicle can operate as a sit down model or enters creep mode when the steering column is adjusted to a stand up position. The automatic parking brake always engages upon stopping to maintain overall safety during operation. Eagle has been manufacturing the industry’s most reliable and functional tow tractors for 50 years and now produces the eJP line of towbarless tractors. Designed and manufactured in the United States, the eJP-12 is backed by factory direct service and support. With a robust product line and the strongest warranty in the industry, we pride ourselves on providing the highest level of quality and customer service. The eJP series are OEM approved by industry leaders such as Gulfstream, Bombardier, Embraer and Cessna. At Eagle Tugs, we earn our wings without ever leaving the ground.